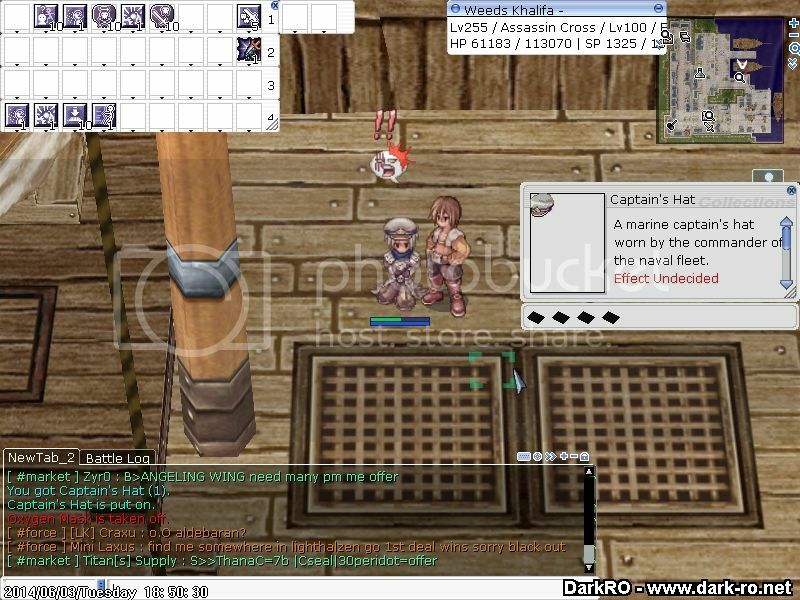 its too hard to find....i think we need team work too find this sailor..
Edited by enemydownreborn, 03 June 2014 - 01:45 AM. Found it, finished it. I regret making the quest items. You'll just need to talk to the NPC? No. You gotta buncha stuff that I regret on making up. Interests:robbing, killing and to destroy .. LOL XD jk! Jireh, is that just one of the hat that you can get? Looks like the white capt. hat from the staff hats. It's the hat that is awarded once you finish the quest line. where is the npc ? If you could find an Event Coordinator in Hide and Seek, you can easily find the NPC. hahahaha this sir is so true! Thank you guys for helping me ! and to Papa Lazy for giving me Creds to buy Tons of Itams for the Quest ! Interests:I really like breaking stuffs anywhere whether be it irl or in any game. I love breaking an Emperium. I like to break pretentious-hypocrite beings. I Green Stuffs. Watermelon. Turtle. Bacon.